I.v.m. de vakantie en personele mutaties is het een tijdje stil geweest rond onze vrienden van AristoMedia. Maar vanaf nu gaan we je weer regelmatig op de hoogte houden van nieuwe geluiden uit Nashville en we beginnen meteen goed met vier clips. We’ve got another new video for you this week: “Wild” by Pete Scobell. Scobell describes himself as a “jack of all trades,” and is a Navy SEAL combat veteran, competitive skier, mountain climber, athlete and musician. He made is first foray into the music business after meeting Wynona Judd and Cactus Moser through the film makers of “The Hornet’s Nest,” a 2014 Afghanistan war documentary. Wynonna and Cactus invited him to come record his song, “For the One’s I Stand Beside” for the movie, and Scobell would later collaborate with Wynonna on the duet “Hearts I Leave Behind” which went to No. 1 on the iTunes country music chart in February of this year. He is currently touring all over the country with performances booked up through November. His music is is as tough as he is, but even members of the world’s most elite military teams have deep heartaches as demonstrated by “Wild” which manages to be both heartwarming and heart wrenching at the same time. The clip begins with Scobell throwing his guitar into a refurbished 65 Shelby Mustang GT350, and driving it down a back road reminiscing about good times spent with an old friend. We see shots of the two horsing around, but soon find out his friend has passed away and the Mustang belonged to him. At the end of the clip, Scobell drives out to his friend’s grave and leaves a shot on his tombstone while singing the final chorus. We’ve got another new music video for you today for Chelsea Bain’s new single “Power of a Woman.” The touching clip showcases the many strengths women have and will appeal to men and women alike. The song was written by Lee Brice, John Ozier, and Kyle Jacobs and is the follow up to her last single, “James Dean.” The music video was directed by Layne Pavoggi and was shot in Culver City, CA and outside Los Angeles. It’s a bit more toned down compared to her video for “James Dean” which featured a car flipping and catching on fire. 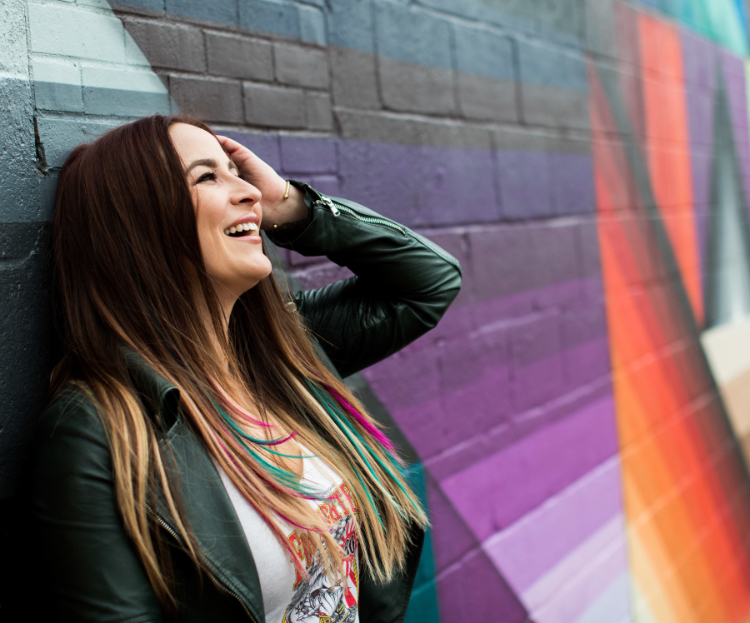 Chelsea Bain has built quite the following (over 330,000 Facebook fans) from her music and constant touring across the country with performances at over 50 NASCAR races in the past two years. She has opened for superstars such as Tim McGraw, Jarred Niemann, Brett Eldredge, Justin Moore, Big & Rich and also performed at three official events leading up to Super Bowl XLIX including a performance outside of University of Phoenix Stadium prior to the big game. We plaatsten al eerder clips van Chelsea Bain. “Summer Girls” is the new breakout single for rising star, Boone. Signed with Supergroup Records/Nine North Records the song is the first single from his upcoming album, American Young Hearts. The song’s catchy sound has a throwback feel to 90’s country, and Boone’s vocal style is reminiscent of Tim McGraw, Joe Diffie, and Daryle Singletary’s hit singles of the era. Shot on Percy Priest Lake near Nashville, TN the clip starts with Boone sneaking his father out of an old folks home for some good old fashioned fun out on the lake! Comedic hijinks ensue in this funny yet endearing party anthem. The video is already trending on Youtube, with over 7,000 plays since it’s debut just yesterday. You won’t want to miss out on this one! Vandaag ging de nieuwe single Power Of A Woman van Chelsea Bain in première. Deze song komt er twee jaar na haar vorige single James Dean. Het is tevens de titel van haar recente EP dat zes songs bevat. We blijven nog een tijdje bij de jongere zangeressen. Chelsea Bain brengt na Rockin’ That Trailer een nieuwe single uit. James Dean is eveneens een song voor de fans van de wat hardere country music. Chelsea Bain is een 21-jarige nieuwkomer uit Arizona en zij is de dochter van Clint Black die vroeger een geheime liefdesrelatie met jeugdvriendin Renee Bain had. In 2011 bracht ze een eerste EP met 5 nummers uit en dit is haar nieuwe single die meteen een grote radiohit is in de States. Deze ruige song heeft op één week tijd al meer dan 1 miljoen kijkers gehaald op Youtube.